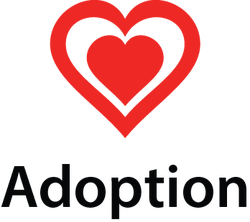 You are required to be able to describe, apply and evaluate an adoption study. The Specification recommends Ludeke et al. (2013) and I'll add that study in time. However, Ludeke is quite complicated and students might like to learn an easier study that ties in closely with Gottesman & Shields' twins research into schizophrenia. This adoption study was carried out by Seymour Kety and a team of American researchers and Danish psychiatrists - it became known as the Danish-American Adoption Study. It was a key piece of research that established that there was a genetic component to the mental illness schizophrenia. It shows how scientific research proceeds, because Kety et al. tested the hypothesis that there was a genetic component to schizophrenia by comparing the adoptive and biological families of patients with schizophrenia for similar mental illness. This has been replicated many times since (in 1975, 1978 and 1994). However, it shows another aspect of scientific research, because Kety's methods and conclusions have been strongly criticised by other scientists as part of the peer review process. You will come across a lot of adoption studies and twin studies set in Denmark. That's not because Denmark is unusually blessed with twins (like Nigeria) or suffers a huge amount of adoption. Denmark keeps an complete record of adoptions in the Danish Adoption Register, which includes children born as far back as 1924. It includes full details of both the biological and adoptive families, making large scale family research much easier in Denmark than in many other countries. Moreover, Denmark makes this information public along with information from the mental health register, enabling researchers to link persons from the adoption register to people on the mental health register. Kety's initial research was based on a sample from Copenhagen, but Denmark's excellent public records allowed him to replicate this across the whole of Denmark in 1978 and 1994. To find out if there is a genetic basis for schizophrenia. 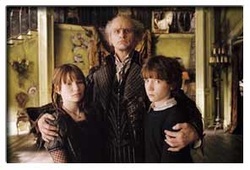 In particular, the researcher compares the adoptive family and the biological family of a schizophrenia-sufferer (the index participant) to see if there is a higher rate of schizophrenia-related illness among biological relatives than adoptive relatives. This is an independent groups design, since it looks at the difference between biological relatives and adoptive relatives of schizophrenia-sufferers (index participants). It also looks at the difference between the schizophrenia-sufferers and a Control Group with no history of mental illness. Because adoption and schizophrenia are naturally-occurring variables, this is a natural experiment. The researcher's measured the prevalence of schizophrenia-related mental illness among family members. 34 schizophrenic patients (two of them MZ twins) taken from the Danish Adoption Register for Copenhagen. They were aged 20-43 and were taken from a larger sample of 503 adoptees who had been admitted to psychiatric hospitals with general mental illnesses. This would be an opportunity sample. B3 was a group of 11 with "borderline schizophrenia" or "latent schizophrenia"
33 mentally-healthy Controls were selected from the Danish Adoption Registry. They were matched to the schizophrenic patients on age, gender, the age at which they were adopted and the social class of the adoptive family. Kety used the Danish family records to locate adoptive and biological relatives of all the participants. He tracked down 463 relatives and used the mental health register to assess their mental status. A panel of 4 Danish psychiatrists used the medical records to diagnose the family members. This was a "blind test" because the psychiatrists did not know whether the records were from an adoptive or a biological family member. Once the diagnoses had been made, the identities were revealed and they were assigned to adoptive family groups (IA and CA) or to the biological family groups (IB or CB). Blind-testing is a great technique to reduce experimenter bias. Notice that all the data comes from health records and Kety and his colleagues did not make personal contact with any of the participants. Later on, Kety replicated the study in 1975 and did seek out participants and interview them. D1 is "uncertain chronic schizophrenia"
D2 is "uncertain acute schizophrenia"
D3 is "uncertain borderline schizophrenia"
C is schizoid or "inadequate personality"
Because the psychiatrists had to work from medical records, they were uncertain about their diagnoses sometimes, hence the D1-D3 categories. In 4 cases, they couldn't reach a conclusion and these relatives were dropped from the study. Kety et al. grouped together all the relatives in the B1-B3, D1-D3 and C categories as "schizophrenic spectrum disorders". The research found more signs of schizophrenic spectrum disorders in the index participants' biological family than their adoptive family; they also found more spectrum disorders in the index participants' biological families than in the Controls' biological families. This is commonly reported as a "five-fold" prevalence of schizophrenia among the index group compared to the controls - and that's probably the only finding from this study you will need to know - but, as we'll see below, "five-fold" may be an exaggeration. There seems to be a genetic component to schizophrenia because schizophrenic adoptees were more likely to have schizophrenia in their biological family than their adoptive family and their biological families were more likely to have schizophrenia than the families of Controls. The Danish-American study had a huge impact on the study of schizophrenia and helped prove the theory that schizophrenia has a genetic component. 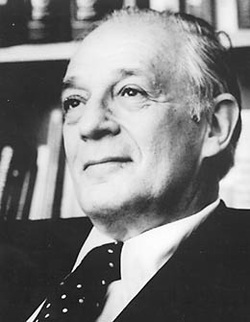 The study also supported the diathesis-stress model of Kety's colleague, David Rosenthal. This theory claims that genes provide a predisposition towards schizophrenia, which can be triggered by stressful life events. Kety's research often appears in psychology textbooks as proof that there is a genetic link behind schizophrenia. However, the Danish-American studies have been challenged, notably by Jay Joseph (2004), who levels some serious accusations about the way the research was conducted and the data interpreted. Kety also lumped together close family members (like brothers and sisters) with less-closely related family (like half-siblings) in the IB and CB groups. If you only look at Kety's data on close family relatives, the difference between the index participants and the Control Group disappears. Seymour Kety (who has since died) always denied these criticisms - especially the last one, which is probably the most serious. However, Jay Joseph is tireless in trying to expose what he regards as unscientific and biased research into a genetic link to schizophrenia which (he believes) remains unproven. If Joseph is right, then the case for a genetic component in schizophrenia may be weaker than is commonly supposed. If Kety et al. did change their research design in order to produce a certain set of findings, then they allowed their conviction that there must be a genetic component to schizophrenia to overrule their integrity as scientists. Critics point out that environment can lead to schizophrenia too: child abuse, neglect, bullying, drug and alcohol problems, all play a part. This can happen in an adoptive home too. Moreover, adopted children often make contact with their birth family later in life and may be influenced by them. Just knowing that your biological parents "gave you up" can be a source of mental harm for children. These individual and situational factors were not explored in the American-Danish Adoption Studies. The debate over genetics and schizophrenia can get heated. It's part of a wider debate over heritability - whether important characteristics are inherited from your parents - that is part of the nature/nurture debate. This study has a fairly large sample and covers a range of ages, from teenagers to men and women in their 40s. They were taken from the Danish Adoption Register for the Copenhagen area, which should make them representative of Danes in general, perhaps Europeans in general. Denmark was a preferred location for adoption studies because of its "stable and homogenous" population - mostly white and not experiencing much migration in the 20th century. This was a practical benefit, but it might make it hard to generalise the results to other ethnic groups or to more mixed populations. Kety et al. developed a very reliable procedure and they replicated it in 1975, 1978 and 1994, adding interviews in as well. Since they got similar findings, this is test-retest reliability. Kety also used a group of 4 psychiatrists who diagnosed each relative based on medical records. Relatives were assigned to categories (B1-B3, D1-D3, C) when these psychiatrists agreed. There were only 4 cases where the psychiatrists could not agree and these were removed from the study. This is inter-rater reliability. However, the diagnositic categories were rather vague and depended on subjective interpretation. "Latent schizophrenia" and "inadequate personality" seem especially vague and unscientific, because any odd or eccentric person might be diagnosed as fitting into the B3, D3 or C categories. To be fair to Kety and his team, it wasn't until the 1980s that the 3rd ed. Diagnotic & Statistical Manual (DSM-III) introduced clear and measurable definitions for schizophrenia, so the researchers had to come up with their own diagnostic criterion. However, even by the standard of the 1960s, Kety's categories are pretty vague. There are important applications of this study for families with a history of schizophrenia and people looking to adopt a child. If schizophrenia has a genetic component, then even an upbringing among a healthy adoptive family might not prevent a child with a genetic predisposition for schizophrenia becoming ill in later life. However, the diathesis-stress model suggests this is only a predisposition and it requires a trigger. If families are aware that a child has a genetic link to schizophrenia, they can guide the child away from drugs and stressful careers and watch out for early symptoms. As with most mental illnesses, schizophrenia is less destructive if it is diagnosed earlier. Kety's American-Danish Adoption Studies tie in with earlier research like Gottesman & Shields (1966) and Rosenthal's theory of the diathesis-stress model of schizophrenia. This gives the American-Danish Studies concurrent validity (from the previous studies) and construct validity (from the theory). There are still vague and unclear concepts in this research. What do Kety et al. mean by "schizophrenia spectrum"? It sounds like a catch-all category that almost anything could fall into. If so, the findings that the biological relatives of the index participants were more prone to schizophrenia might be an illusion. Moreover, the researchers did not consider environment or personal history in detail because they were working off medical records and state registries. Weird fact. 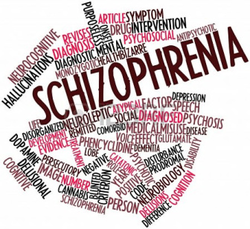 The latest DSM-5 (2013) changed its classification of schizophrenia to - you guessed it! - "schizophrenia spectrum disorders". So Kety's rather dodgy label is in fact official now. That doesn't let Kety off-the-hook for low validity, but it does suggest his ideas about schizophrenia might have been ahead of their time. The criticisms by Joseph (2014) suggest their may be deeper problems with the American-Danish Studies. If Kety et al. changed their design to get the results they were looking for, then the findings are invalid because they do not measure what they claim to measure. The participants in this study were not directly approached: only their data was analysed by the researchers and this could be done under Danish laws without needing consent from the participants (which is why Denmark is so popular for studies like this). There are still issues of social responsibility, scientific integrity and harm. The researchers had a responsibility to find out if there was a genetic component to schizophrenia because this could have a huge benefit for society in general, especially for people who are adopted. However, if Kety did manipulate the results, then it brings his integrity into question. If he created the false impression that schizophrenia is genetically heritable, this may have led to stress, anxiety and prejudice for people from families with a history of mental illness. A 8-mark “evaluate” question awards 4 marks for describing an adoption study (AO1) and 4 marks for evaluating it (AO3). You need a conclusion to get a mark in the top band (7-8 marks). Kety et al. investigated the genetic component in schizophrenia. The main issue with this adoption study is the reliability of how schizophrenia was diagnosed. On the positive side, the 4 psychiatrists arrived at separate diagnoses then had to agree and 4 relatives were rejected from the study because there was no agreement. This is inter-rater reliability. Kety used the same criterion again when he replicated the study in the '70s and '90s. This is test-restest reliability. However, the categories were very vague and this makes them unreliable. Category C ("inadequate personality") could cover anyone who was just a bit eccentric and B3/D3 ("latent schizophrenia") has no medical definition. Kety did not find any biological relatives with chronic schizophrenia and only 1 with borderline schizophrenia. His results lump all the types of schizophrenia together, which is not a valid way of reporting data. In conclusion, Kety's study contributed to society by showing the diathesis-stress model of schizophrenia to be correct. However, he was only working off medical records and did not interact with any of the participants, so personal situations and environmental factors have not been taken into account. Notice that I try to introduce the evaluation point first then follow it up with description/knowledge; I try to link the conclusion to an Issue/Debate (but this isn't compulsory).